Bogotà (Agenzia Fides) - At approximately 7 pm local time, on Monday 18 February, in the Tierra Buena neighborhood of Patio Bonito, in the town of Kennedy, in the south of the Colombian capital Bogotà, Fr. Carlos Ernesto Jaramillo, 65, was assassinated. The Prosecutor's Office is carrying out the investigation. 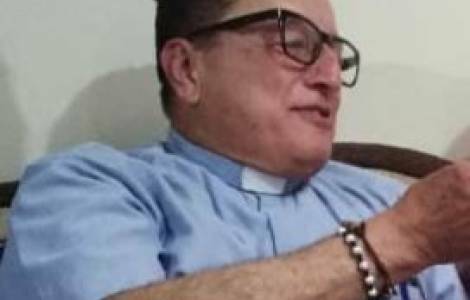 According to the information sent to Agenzia Fides, the residents of the condominium complex where the priest was resident, who helped the Venezuelan emigrants, said that some young men killed the priest to rob him. A minor, who is suspected of the murder, was stopped by the police and told the authorities that the priest tried to abuse him, a version which is being investigated.